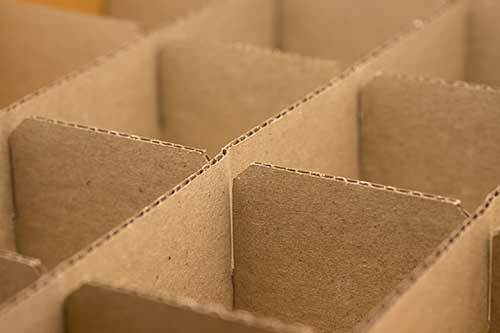 Instead of using void fill, a much cheaper solution is to use corrugated or chipboard partitions/dividers. 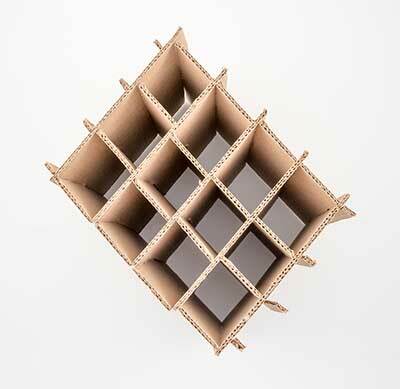 These are typically seen in beer cases to divide and keep bottles from touching. The majority of corrugate manufacturers sub-contract this work out. At LeanPack, we work with the leading manufacturer of partitions. Typical clients who require partitions are those who package in bottles such as food and beverage and the cosmetic industry.